Office Hours - 8:30 a.m. to 4:30 p.m. The Borough Administrator is responsible for the management of the day-to-day operations and coordination of interdepartmental activities. He is a liaison between the Mayor and Council, all departments, various municipal boards, and professional advisors hired by the Borough. He reports directly to the Mayor and Council. The Administrator recommends personnel policies, appointments and disciplinary action to the governing body. He is also responsible for overall supervision and maintenance of Borough property and reviews and supervises the Borough's Health and Liability insurance programs. The Administrator in conjunction with the Finance Officer is responsible for the Borough's yearly preparation of the operating and capital budgets. Compile and submit to Council the tentative annual budget pursuant to law. Review existing job classifications and salary ranges of all employees and present recommendations for additions, changes or modifications to Council. Negotiates labor contracts for the Borough with Council input and approval. 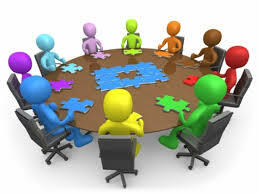 Attend all meetings of the Council and all committee meetings of the Council. Keep the Council advised of the financial condition of the Borough. Make an annual report to Council, to include a detail list of major capital improvements considered by the Administrator to be necessary or desirable during the succeeding five years. Ensure that no contract is made or improvement undertaken until the necessary funds have been appropriated in the budget or by ordinance. Establish the organizational structure, duties, plans and responsibilities of all department heads and their major subordinates who report to the Manager, within the framework of general administrative policies established. Develop, update and submit to Council for its approval employment policies not covered by collective bargaining agreement and the New Jersey Department of Personnel, risk management procedures, negotiation positions in collective bargaining with employee unions, the status of formal employee grievances or claims whether or not referred to labor counsel, evaluations of each department and office of the Borough including staffing requirements and capital improvements as part of preparing and recommending an annual budget, a parts and supplies inventory oversight program. Residents and interested parties may call this office for reporting problems and concerns regarding the operations of the Borough.